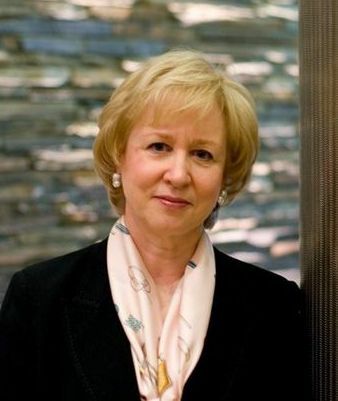 I had the pleasure last week of attending a public talk called “Women’s Voices: What Difference Do They Make?” featuring Canada’s first and only female prime minister, Kim Campbell. Appearing at Vancouver’s Harbour Centre campus of Simon Fraser University, the former PM sat down with Shari Graydon of Informed Opinions to discuss women’s participation in government, business, and the media. She spoke with ease and humour about her time in politics, relating such anecdotes as the aura of stunned silence which prevailed when, having recently been promoted to cabinet, she disrupted the old boys’ atmosphere by launching into a graphic elucidation of some of her own personal struggles with birth control; or the way the press hammered her during the 1993 election over such irrelevancies as her choice of earrings, or whether it was wise for her to have made a proclamation she never actually made (i.e. “an election is no time to discuss serious issues”). The moment I had been waiting for, however, came towards the end when, in response to a question from the audience, Campbell talked about a proposal for electoral reform she had outlined some weeks earlier at a women’s conference in Prince Edward Island. The proposal goes like this: every federal riding would elect two members of parliament — a man and a woman — instead of just one. Thus, the perennially out-of-reach goal of gender parity in the House of Commons would finally be achieved. The plan is not without its difficulties. It would require either an increase in the number of MPs, a decrease in the number of ridings, or, most likely, some moderate combination of the two. I also worry that with the reintroduction of multi-member districts under what is still a plurality voting system, the problem of disproportionality would be exacerbated. In fact, Campbell herself admitted that gender parity might fit more easily with proportional representation, under which parties could simply be required to alternate female and male names on their party lists. Once a law was passed requiring a woman MP in each riding, there would inevitably be pressure to expand the mandate. Gays have as much right to demand more gay MPs, as do transgendered Canadians, and all the colours of the Canadian sexual rainbow … And if we are to introduce gender quotas, should we not also be making provision for aboriginals, the handicapped or any of dozens of significant ethnic blocks? Create a special case for female candidates and where does it end? Special seats for the left-handed? Dog owners? Those suffering from male pattern baldness? The common thread seems to be that any proposal for gender parity in parliament will open the floodgates to other traditionally oppressed groups demanding fair representation of their own. And this is a bad thing how, exactly? Why shouldn’t our elected institutions reflect the broad demographic spectrum of Canadian society? Why shouldn’t we expect our representatives to be, you know, representative? Marginalized communities tend to bring with them lived experiences which differ from those of the rich white males who still largely hold sway. To bring about the greatest possible diversity in public office would benefit not just this or that group, but everyone. Later on during the question-and-answer session at Campbell’s event, somebody mentioned the recently unveiled Up for Debate campaign, put forward by a coalition of more than 100 organizations calling for a televised leaders’ debate on women’s issues leading up to the 2015 federal election. The proposal has a precedent in the form of a similar debate held 30 years ago, and already, both Elizabeth May and Thomas Mulcair have accepted the challenge to give it another try. Media coverage has been minimal, but once attention starts to pick up, it is easy to imagine the objections. Why a debate on women, the opinion page contrarians will crow, and not First Nations, LGBT issues, poverty, immigration, or the environment? Won’t other groups expect equal attention? Taken to its logical conclusion, this well-meaning proposal will produce an unstoppable proliferation of televised debates the likes of which a Canadian election has never seen. As before, I fail to see the downside. Leaders’ debates are some of the most substantive policy discussions that take place during elections. This is not to say they are perfect — their choreographed, over-rehearsed nature makes them about as stimulating as a Stephen Harper piano recital — but compared to the usual fare of self-congratulatory press conferences and BBQ photo-ops that constitute modern-day electioneering, the debates are practically paragons of intellectual vigour. 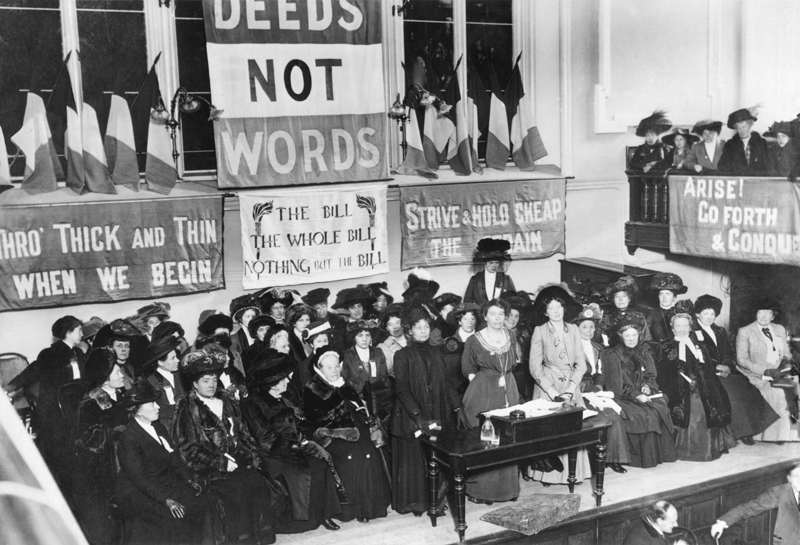 We need not fear efforts to raise the political profile of women. To pursue gender parity in parliament, to bring to the electorate’s attention issues like childcare and violence against women — these are just causes in and of themselves. But if these priorities also help to embolden others in their struggles for justice, all that does is make a strong case even stronger. More than 20 years have passed since Canada’s singular experiment with having a female prime minister. Perhaps the time has come for us to think about giving it another shot.